Maestro James Sadewhite began his conducting career in 1963, debuting as a student conductor of the Westchester Youth Symphony in White Plains, NY. He has continued to appear with various orchestra and opera companies since then and has a working repertory of some 700 orchestral works and 25 operas. 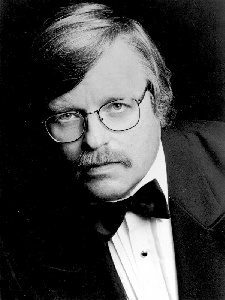 Along with his duties as conductor and music director of the Summit Symphony, Maestro Sadewhite is presently conductor of the Yonkers Philharmonic in Yonkers NY, the State Repertory Opera in South Orange NJ, and the Manhattan School of Music Preparatory Division in New York City. He has also been conductor of the Chappaqua (NY) Chamber Orchestra and orchestra director at the Dwight-Englewood School in Englewood, NJ. Maestro Sadewhite has received critical acclaim in the metropolitan area, especially for his performances of Massenet’s Thais, Bizet’s Carmen, and Gounod’s Faust, as well as performances by the Chappaqua Chamber Orchestra with Ruth Laredo, Che Yun, and Peter Winograd, and the Summit Symphony with Pamela Frank, Norman Krieger, and Jane Bunnell. He has appeared numerous times as a guest conductor, including a trip to Taiwan in 1989, where he conducted several Chinese orchestras. Mr. Sadewhite completed a B.A. in performance from the State University at Potsdam NY (1964-68), and holds two Masters degrees from Columbia University with a major in conducting. He has studied conducting with Norman Leyden, James DePriest, Seymour Rubenstein, Ascher Temkin, and has been advised by Sixten Ehrling at the Juilliard School. In Summit, he has conducted the Summit Symphony’s performances in the First Night celebrations, and has donated his talents to the Summit Library Fund Raising event, “The Music Man” in 1998 and to “George M ” for Summit’s Centennial Celebration.